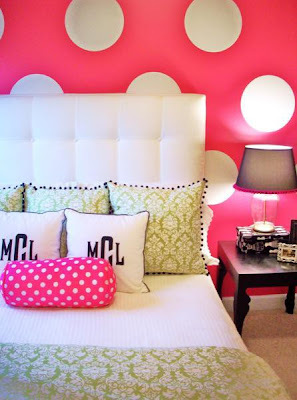 Polka dots are a fun way to add design to your home or your wardrobe. Depending on the size and color of the pattern, polka dots can be whimsical or formal. From polka dots on a sweater for a little girl to delicate pin sized polka dots on a formal gown, polka dots can be used in almost any item. Pink polka dots are a fun contrast to the green jacquard fabric in this pink polka dotted and green bedroom. This is pink and green heaven! The polka dots on the wall are actually stickers that can be placed and removed. Perfect for a dorm room that needs a little pick me up or a children's room that will grow and change with the child. Polka dots are traditionally seen on the Flamenco dresses of the women from Andalusia. The annual festival in Seville in the south of Spain is a perfect opportunity to for Spanish women to wear these gorgeous dresses. Of course, you can find a lot of flamenco inspiration in many fashionable dresses. Get your flamenco without the festival! My twincesses led a parade to celebrate a Spanish festival to the Virgin of Covadonga celebrated by the Spanish community when we lived in Oaxaca, Mexico. Their paternal grandfather is from Spain and as a result, these lucky peeps can have 3 passports! 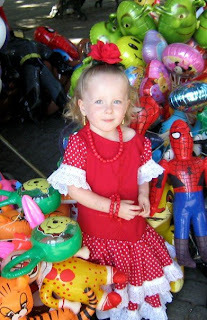 Here is sweet Natalia in the main square of town, just before the parade. 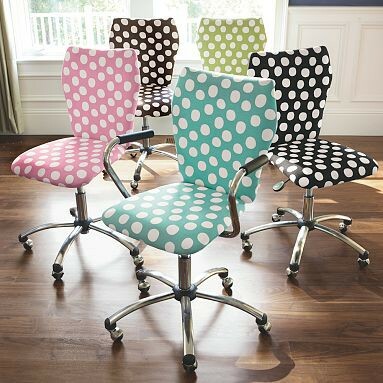 This polka dotted chair from Pottery Barn Teen is a delightful choice for a preppy home office. The Noelle top from Lilly Pulitzer's fall collection is a gorgeous fall transition piece. Paired with pants for the weekend or a skinny skirt and heels for a Friday night event; the shirt is versatile and feminine. 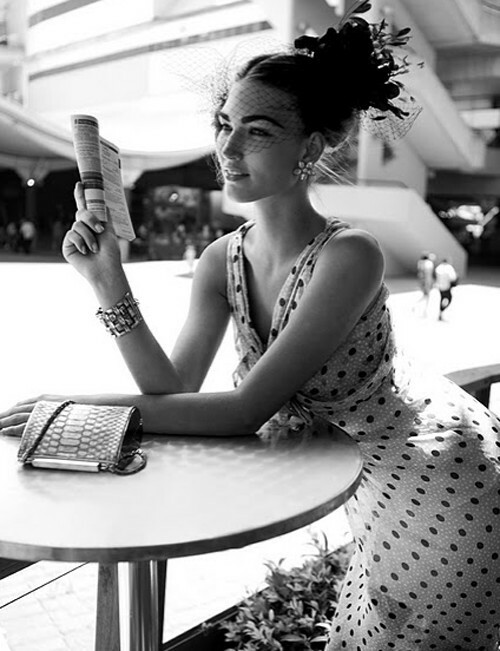 Polka dots translate well to every imaginable item. They are an ideal choice for to complement any party decor or color scheme. 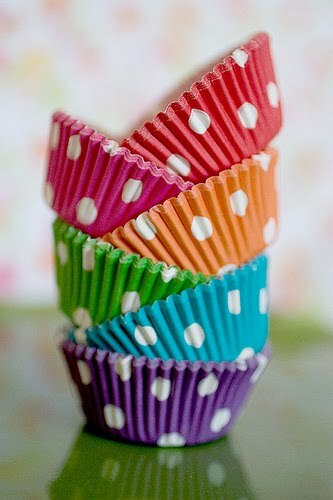 Pretty polka dot cupcake liners in every color of the rainbow make me smile. I love polka dots! How do you love to see polka dots? I love polka dots as well. In fact, I put a dot on the end of my letters when I'm writing a fancy note. It makes it look festive. I love polka dots. I'm wearing a yellow with white polka dot silk suit for a wedding next weekend in Michigan. Can not wait! Your daughter looks PRECIOUS in that photo. The polka dot cupcake liners are so cute and I adore that PB ofice chair, especially the apple green one. I love wearing polka dots! They make outfits feel youthful.